An individual who writes a Bad Checks in order to receive: money, property, services, the use of property or a Casino Marker with knowledge that the account he or she drew from had insufficient funds to cover the money owed will be charged with a crime. If the amount of the bad check was under $650 and it was not a fourth time offense, you will be charged with a Misdemeanor and face penalties of up to 6 months in jail, restitution and a fine of up to $1,000. 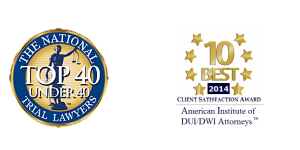 If the amount of the bad check was $650 or more or a fourth time offense, you will be charged with a Felony and face penalties of 1-4 years in prison, restitution and a fine of up to $5,000. 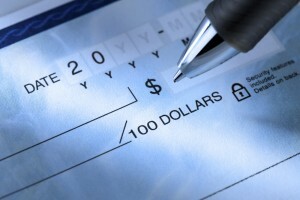 Charges for bad checks are prosecuted in Las Vegas, Nevada by the District Attorney’s “Bad Check Unit”. 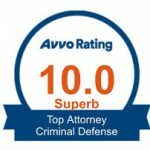 Las Vegas Criminal Defense Attorney, Michael A. Troiano has handled numerous cases dealing with bad checks on behalf of his clients and will work to get your record cleared by negotiating your matter directly with the Bad Check Unit in a quick and efficient matter.